Mayor Mark Mallory is again preventing a vote on a matter that Christopher Smitherman wants to bring before the Council, in this case the Duke Energy rate hike to fund utility relocation for the Streetcar. This morning Christopher Smitherman spoke with Brian Thomas about Medicaid expansion and the City Council vote to bully SORTA into using transit tax dollars for the Streetcar. Council is threatening public transportation with this vote. Listen below or click here. Well, well, well. It looks as if voters respond favorably to politicians who take an aggressive, principled stand in favor of freedom. As John Fund at National Review explains, Michigan Democrats are shying away from challenging Governor Snyder when just a few weeks ago the polls were showing him weakened by the Right to Work legislation recently enacted in Michigan. Senator Portman, a veteran of a myriad of budget battles, has proposed a plan requiring spending reductions equal to any future increases in the debt ceiling. We appreciate his serious thinking on the issue. Southwestern Ohio has (with a 7 year exception) been proud to have serious, thoughtful representation in Congress and the Senate; Portman being among the best. Read his press release on the proposal here. Judge Black's decision this past Friday tossing Steve Driehaus' defamation suit out of federal court is an important vindication of the First Amendment. It is appropriately getting national coverage. The second part, ridding Ohio of the Inquisition-like Ohio Elections Commission, is pending before the 6th Circuit Court of Appeals. Most politicians are small thinkers and small doers. They address issues one at a time, responding to various constituent groups, many times (usually?) in ways that benefit the politician, and promising everything to everyone. Hamilton County Commissioner Chris Monzel today, however, showed he is not your average politician. Instead of generally promising everything to everyone (current County policy calls for "providing the best and most responsive county government in America") he has decided to publicly declare that we must live within our limited means (proposes: "providing cost effective county government in America within our financial means"). Finally we have a politician who understands the limited role of government in our society. Perhaps he could have a chat with Speaker Boehner. An email from Ohioans for Workplace Freedom announced the latest state to heed the call of freedom. Learn more about Ohioans for Workplace Freedom here. The PUCO has been inundated with letters, faxes and emails opposing the Duke Streetcar Tax proposal. COAST opposes the plan because it would effectively allow Duke a taxing authority and incentivize foolish decisions by City Council - as if they need any encouragement! Ohioans for Workplace Freedom have released a new video about their project. Learn more and sign up to help here. Now, Newsbusters and Tom Blumer have coverage of the decision tossing from Court the Steve Driehaus defamation case against the Susan B. Anthony List. That piece is here. While Ohio and other states were cutting spending two years ago to deal with their budget deficits, Illinois enacted a massive tax hike, a tax hike so significant that it drove hordes of businesses and residents from the state. COAST wrote yesterday about yet another broadside Rob Richardson, Jr. has launched against Christopher Smitherman since Richardson's father was resoundingly defeated in his fight to take over the NAACP, with the help of demo-party lefties and labor unions. Today, Richardson continues the crusade against Smitherman with this blog entry. This time, he objects to Hamilton County GOP Chairman Alex Triantifilou praising Smitherman's fiscal bona fides. Now, note, that Smitherman has not endorsed the GOP, but rather the GOP Chairman lauds the voice of Smitherman on fiscal issues. A three judge court of appeals panel in Washington DC announced today that President Obama acted outside his powers when he made three "recess appointments" to the National Labor Relations Board while the Senate was not in recess. The ramifications of the decision are still being discovered, and an appeal is likely. At the very least, it is likely that any decisions made by the NLRB during the past year are void for lack of a quorum. A recent public records request has uncovered an attempt by Cincinnati Traffic Engineer Michael Moore and Hyde Park Community Council President Janet Buening to work secretly on the now failed "road diet" of Erie Avenue's S-Curve. They attempted to generate support for the plan to remove capacity from Hyde Park's main road while keeping those who would oppose the plan in the dark. According to the New York Times' Nate Silver, it's entitlement spending! PUCO has announced the schedule for the public hearings on the proposed Duke Streetcar Electric Bill Tax. Cincinnati area residents will be most interested in the hearings on February 20 at 6:30 pm at the Union Township Civic Center - 4359 Aicholtz Road, Cincinnati, OH 45245 and February 28 at 12:30 pm at City Hall. That's an idea we can get solidly behind! Thank you. Read it here. This entry is an update on the 2012 COAST/CPS litigation relating to the latest in a series of actions by CPS abusing tax dollars for campaign purposes. As reported here and here, COAST and its Chairman Tom Brinkman, Jr. in October of 2012 initiated its third in a series of lawsuits to eradicate the use of tax dollars by Cincinnati Public Schools for campaign purposes. Before we make our modest critique of GOP House Republicans gambit on spending and debt negotiations, we want to make clear that we have no monopoly on knowing the wisest path to success on these matters. 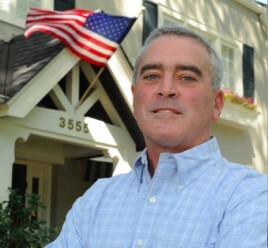 Congressman Wenstrup is wasting no time in staking out a clear stance in favor of the American taxpayers (present and future). First he voted against the so called "Sandy Relief" Bill - in part because it wasn't paid for by cuts to other spending, and now we've learned that our favorite Freshman has signed on as a co-sponsor on legislation to cancel the Congressional Pay increase that President Obama is trying to force through via executive order. We are thrilled to see Brad standing firm for the taxpayer. Read the bill here. Contact Brad and let him know you stand with him here. Most members of Congress are certain to be reelected in November. The primary is the election that really matters. Nate Silver of the New York Times detailed how there used to be over 100 swing districts in the House of Representatives – but now there are only 35 swing districts. That’s right – out of 435 seats in Congress, only 35 are really competitive. Riddle us this: Why does a refusal to take on more debt mean a default of existing debt? It is amazing how the populace is consistently manipulated into "group thought" by the media, the supposedly conservative media and the liberal media, and politicians. Start with the notion of the "fiscal cliff" to convince the lemmings to rush over the cliff of increasing taxes, without addressing spending. From Fox News to NBC, the very vision of an approaching "cliff" of spending cuts was peddled to the public to place fear in the hearts of Americans, democrat and republican. We erect goals and constraints around our own behavior in order to, at least, have benchposts of responsibility. It's not always that we attain these goals, but they serve to remind us of where we are headed, and to instruct us when we have strayed. So, families write our household budgets, businesses set sales goals, athletes have training schedules. No one is perfect, but at least w know the ideal. We've been walking around with smiles on our faces since about 11 pm on March 6, 2012. This morning our smiles got a little bigger. Fresh off a Cincinnati budget deal that includes a $22 Million hole (to be filled by leasing off our parking assets! ), Councilman Chris Seelbach is now pushing the City to buy $130,000 public toilets! Just like the ones they have in...You Guessed It...Portland! We haven't seen this many Pacific Northwest Poseurs in Cincinnati since the grunge era! COAST and its Chairman Tom Brinkman have moved Judge Steve Martin to force the disclosure of documents that they believe will will prove their claim of widespread abuse of tax dollars in 2012 inside Cincinnati Public Schools for campaign purposes. That motion is here. The discovery exchange supporting that motion are here and here. As COAST addresses here and here, it and Brinkman have recently sued Cincinnati Public Schools for violating (for a second time) the 2002 agreement whereby CPS promised never again to abuse taxpayer dollars to advocate for or against any candidate or issue on the ballot. Today PUCO released the schedule for the Duke Streetcar Tax proposal. This sets forth the dates and times for various hearings and deadlines for the parties and intervenors. You can read the document below. PUCO has not yet released the schedule for the public comment hearings. Those dates will be released in a separate document. As we first reported here, Duke Energy has proposed a "Facilities Relocation Tariff" to recoup the costs associated with the Cincinnati Streetcar - known affectionately as a Streetcar Tax. The PUCO staff report was recently released (read that here). The staff opposes the Streetcar Tax in part because it is not well defined and too open ended. Ironically, this same thing can be said for the Streetcar project itself. A recent public records request by COAST shows that while Cincinnati City Council passed a budget all but guaranteeing that our on-street parking resources would be privatized, they were being inundated with letters and emails in opposition to the plan. While the City is dragging it's feet in actually providing all of the documents requested, letters from two of Cincinnati's most "establishment" bodies show just how wide and deep the opposition to the Mallory/Quall's agenda is. Leo Linbeck III has an op-ed up at Politico.com on the effect of increased primary voter turnout. "If competitive elections are the backbone of our democratic republic, U.S. House elections are the snails: no vertebrae, only a hard, protective shell of their own making. More than 80 percent of members are safe within the shell of one-party districts where they’re never tested by a challenge from the opposing party, and they rarely face a serious primary challenge." 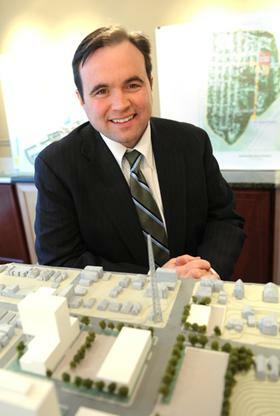 Cincinnati Mayoral Candidate, John Cranley, spoke with Brian Thomas this morning on 55KRC. Cranley discussed the Cincinnati Streetcar Boondoggle (he is opposed to this wasteful program), the Mayor's race and the latest fetish of our crazy council - Portland Loos - $130,000 public toilets that Chris Seelbach wants to install throughout downtown. 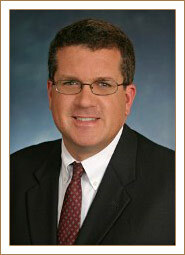 This afternoon COAST attorney Chris Finney spoke with Dan Carroll and his listeners on 700 WLW. They discussed the status of the Cincinnati Streetcar and how this will affect future Councils. They have floundered post-election, and fumbled on the rather significant "Fiscal Cliff" debate, but today, GOP Senate minority leader Mitch McConnell seems to have gotten "on message" with the folks out here in the heartland. No more taxes. Period. Spending cuts. Serious spending cuts. Now. Some voices of sanity are -- too late -- creeping in to the Streetcar debate, as just in the last few weeks the City has committed to buying the five Streetcar vehicles from a company in Spain. However, in Friday's Business Courier speaking to reporter Dan Monk, former Vice Mayor of the CIty and 2013 Mayoral candidate John Cranley spoke some common sense -- that the City has no business proceeding with the Streetcar project without the funding in place. Oh, the Cincinnati Streetcar program, $42 million in and nothing to show for it! The new 2nd District Congressman Lt. Col. Dr. Brad Wenstrup joined veteran Congressman Steve Chabot and new Northern Kentucky Congressman Thomas Massie in voting "No" on the $9.7 billion bill for Hurricane Sandy aid in Congress today. Read about in the Enquirer here. Cincinnati's City Manager emailed us today to let us know that to date, the City has spent $42 Million on Mayor Mallory's Streetcar Boondoggle. Left unsaid is that they have absolutely nothing to show for this wasteful spending. The Public Utilities Commission has released its Staff Report on Duke's proposed Streetcar Rate Increase. The PUCO staff does not support the "Facilities Relocation - Mass Transportation Rider" as it is called in PUCO parlance. You can read the document for yourself below. The Streetcar Rate increase begins at page 32 of the pdf (21 of the document). Today's Enquirer has an in-depth profile on the Cincinnati Streetcar planning, now showing that the project has been delayed yet another approximately 18 months, with the first streetcar ride in 2016. Barry Horstman does a fine job revealing the chaotic planning process at City Hall, yet fails to address the second leg: over-budget by tens of millions of dollars. There will be more to come on that issue shortly. Media Trackers has discovered and exposed explosive new details about the Job Corps voting scandal that COAST initially uncovered. In their story, they have drawn dots to connect the use of taxpayer dollars for campaign purposes directly to partisan democrat activists promoting the election of President Barack Obama, and confronted the US Department of Labor about the abuse. Their article is here. After the massive Tea Party revolution that swept America for nearly four solid years and after conservative Republicans have "taken out" moderate after liberal of our GOP brethren in primaries, the very notion that Senate President Mitch McConnell would dream of striking a deal with the dastardly Harry Reid, and President Obama, to raise taxes without a smidgen of spending cuts being part of the deal is ... breathtakingly foolish, completely unnecessary, and tremendously unwise.